Your small business is, by its very nature, probably rather limited in terms of the Geographic area in which it can operate. Let’s take the example of an electrician. With this type of business, you probably only have a few employees under you. It’s even possible for you to run such a business on your own. One of the things to remember for an electrician, or any other small business for that matter, is that your customers are only ever going to come from so many miles around you. If you are an electrician, you will probably only get customers from a small part of your town. If you are the owner of a small business, then the one thing that you need to be specifically concerned with is local SEO. Because your reach is so limited, you want to have your business appear on Google and other search engines for relevant queries that are made from your location. Now, there are a number of things that you can do to achieve this aim, including getting listed on Google Maps. 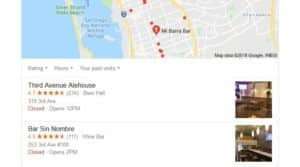 What most people do not realize, however, is that getting online reviews is a good way through which you can get your business to appear in local search results. One of the things that you will often hear should you carry out a search of online reviews is that they are an extension of the word-of-mouth phenomenon that has been the driver behind so much business for so long. The thing about getting a recommendation from friends and family is that the recommendations often carry their weight in gold in terms of trust. Surprisingly enough, people really trust online reviews, in spite of the fact that they are, more often than not, left by complete strangers. In fact, research indicates that up to 84% of consumers out there trust online reviews. What this means in practice is that your business can get a significant boost in terms of trust by harnessing the power of online reviews. The issue of trust is particularly pertinent for small businesses. That is largely because interaction tends to be at a much more personal level. Take the example of a plumber. With this type of business, you actually need to get into people’s homes in order to carry out your work. Your customers are, therefore, going to need to be able to trust that they can safely open their doors for you. That is where online reviews become particularly relevant. Not only do they tell your customers that you are able to do your job, as promised, but they also give them reassurance that many in the neighborhood have already found satisfaction in hiring your services. To say that your business depends on its ability to get positive online reviews is something of an understatement. Today, 90% of consumers state that they first read online reviews before making purchases. For a small business, such as a carpentry concern, this becomes a matter of life and death. Due to the limited nature of your reach, what you need to do is ensure that you get the positive reviews that you need to help grow your business. Google, as an example, uses online reviews as part of the star rating extension system. However, in order to get stars to begin to appear beside your business in Search Results and in Google Ads, you actually need to work with a company that is licensed to push online reviews to Google. One such company is Shopper Approved. This is a company that we are always recommending to our readers. The great thing about Shopper Approved is that not only does it provide you with the tools that you need in order to collect relevant reviews from your customers, but it also syndicates those reviews to Google. 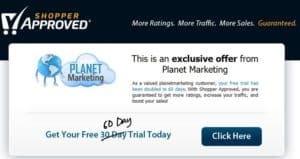 This enables you to get the kind of visibility that comes from having those stars appear on your pages and ads. Reviews are not just about getting feedback from your customers. Instead, you should regard them as a way through which you can foster interaction with your clients. Let’s assume, as we have been doing, that you are a small town electrician. Getting reviews allows you to hear the concerns that people have about your business. Perhaps they have concerns about you arriving late or some other gripe. You can respond to this type of concern in any number of ways, including by giving them the reason why you were late. Perhaps you had a tire puncture. What you should know is that with the nature of the internet, such seemingly small things can often be blown out of proportion, leading to the loss of business on your behalf. However, if you are honest enough in your response, people will actually be drawn towards you.